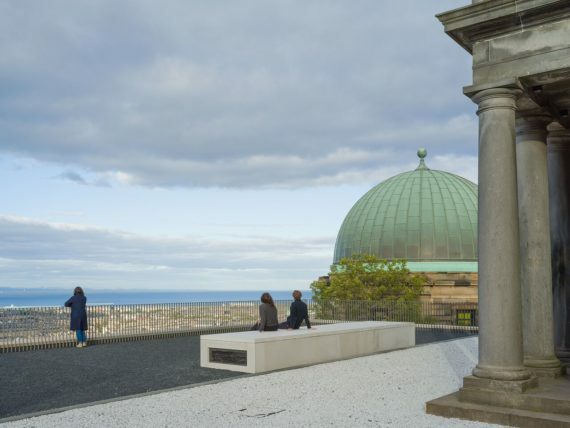 Next month, Edinburgh-based arts organisation Collective will open its new space at the City Observatory on Calton Hill following a £4.5m redevelopment of one of the city’s key World Heritage sites. The new building, which opens to the public on 24 November 2018, will include a purpose-built exhibition space with a panoramic viewing terrace and a restaurant. 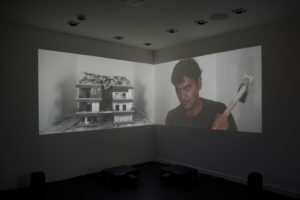 In addition, the Transit House, which was originally used as an observatory, will become a learning and education space for visiting schools and groups. 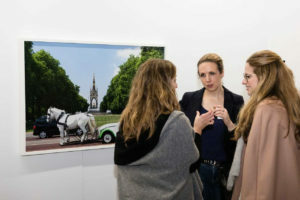 The gallery’s launch exhibition will showcase both international and Scotland-based artists, including a number of specially commissioned works. 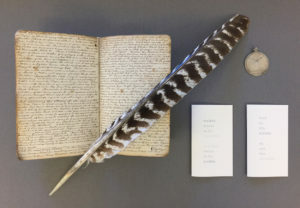 Entitled ‘Affinity and Allusion‘, the show will draw on themes connected to Calton Hill’s history, and will feature work by artists including: Dineo Seshee Bopape, James N Hutchinson, Alexandra Laudo, Tessa Lynch, Catherine Payton and Klaus Weber. The opening marks a significant new chapter for the organisation, which was originally founded in 1984. Kate Gray, director of Collective, said: “After more than five years of fundraising and hard work it’s incredibly exciting to be opening our doors to visitors at last. The City Observatory was originally designed by William Playfair 200 years ago and was crucial to the history of astronomy and timekeeping in Edinburgh. It has now been restored to Playfair’s original designs, and will be open fully to the public for the first time. 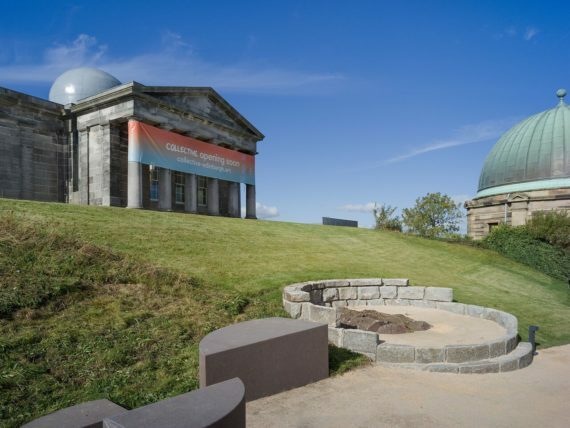 Councillor Donald Wilson, culture and communities convener, City of Edinburgh Council, said: “The building is a historically significant symbol of the Edinburgh Enlightenment as well as a major contributor to the history of star gazing.